We at Rock-N-Country Veterinary Services recommend high quality pet food for your dog and cat. We understand that each pet is different and their palate will differ from the others in the household. There also may be a need for a specific prescription diet to help your pet maintain a healthy lifestyle that you cannot get over the counter. See our favorite brands listed below. Purina offers several over the counter options as well as advanced prescription diets. Purina also has a unique direct ship program that lets you order food directly from the manufacturer instead of picking up in the clinic. We want to make sure you can get these diets at an affordable cost without the hassle of driving to the store or clinic! "From gastrointestinal support to weight management, Purina® Pro Plan® Veterinary Diets are formulated with the well-being of dogs (and cats) in mind." Use our clinic code (OV3J6)and click the link below to sign up. Royal Canin is a dog and cat food company that provides diets with exceptional palatability. These high quality diets come in several flavors to make sure that your pet will enjoy their prescription diet. "Royal Canin is a global leader in pet health nutrition. In an industry that continues to adapt to popular trends in cat and dog food, our mission will remain the same; to constantly bring, through Health Nutrition and shared knowledge, the most precise nutritional solution for cats' and dogs' health nutrition needs, by building on constantly deepened scientific knowledge and Royal Canin's roots in the feline and canine professional networks." 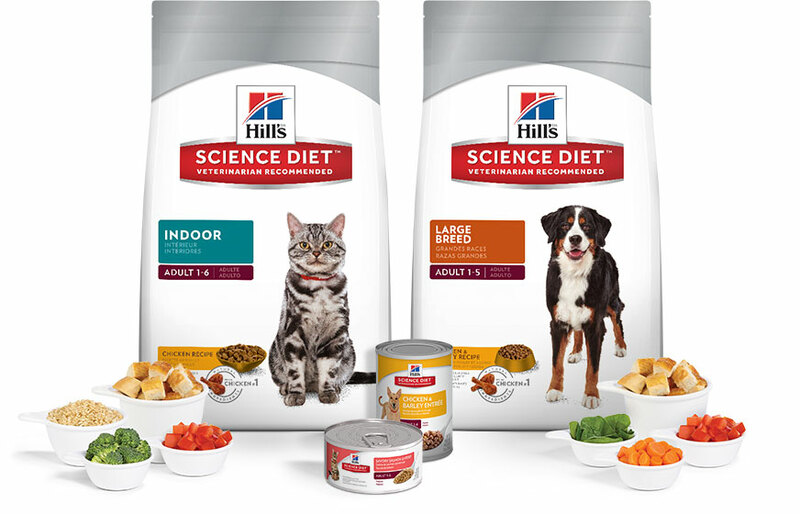 Hill's Science Diet offers exceptional quality and palatability in all aspects of your pet's diet. With several options that target specific disease processes or stages of life there is sure to be one to match your pet's needs. "From puppies and kittens to adult dogs and cats, we know no two pets are alike. Pets have different biological needs at different life stages, so we use cutting-edge food science to develop precisely-balanced nutrition for all stages of your pet's life. We make scientifically-developed foods for the specific needs of healthy pets, like supporting mobility and joint health for dogs, helping cats prone to hairballs, and more."